MES Recruitment 2015 :- Military Engineer Services (MES) is conducting the notification for recruitment of 762 Mate Tradesman vacancy. The organization of MES is inviting those candidates who are eligible and interested for the Recruitment of MES Tradesman can apply for the application form before the last date 26-12-2015. The candidates can send the application form through offline mode. FRESH UPDATES (08.06.2016) : Now here is the good News for all those candidates who has applied for MES Recruitment 2016 of 463 post. Now you can download your MES Admit card 2016 before the exam and exam will be held on 24.07.2016. Admit card will be available soon either the official site or by here. Military Engineer Services (MES) has published the recruitment process for filling up 762 Mate Tradesman post. This is the great opportunity for those candidates who are waiting for MES JOB in different areas. To get more detail information like Age limit, Selection Process, Pay Scale, Qualification etc is all mentioned below. Name of the Department : Military Engineer Services (MES). Application mode : Offline mode. Total number of Post : 762 Post. Name of the Post : Tradesman Mate. Jobs in MES Required Qualification :- Candidates should completed Matriculation (10th) from any recognized university or institutes. Age Limit :- Candidates minimum age should be 18 years and maximum age should be 27 years. Age relaxation should be applicable as per Govt rules & regulations. Pay Scale :- Candidates will be paid Rs. 5,200/- to Rs. 20,200/- with Grade Pay of Rs. 1,800/- as a per month salary. Selection Process :- Selection will be made on the basis of Written Exam which will be held on 10th April 2016. Candidates should visit the official website www.mes.gov.in. Read all the information before applying the application form. Download the application form from the site. Fill the application form through offline mode without any mistakes. Affix the recent passport size photo on the space which should clearly visible. Before sending the application form, recheck all the information. Send the required documents along with application form till 26-12-2015. Certificate of Technical Education Qualification. An attested copy of certificates etc. Employment Notice No : 132501/LRS/ 2013-14/E1B (S). Last date For Apply Application Form : 26-12-2015. Date of Written Exam : 10-04-2016. Click Here To Get Official Notification & Application Form. Also Check For MES Admit Card 2016 for 463 Post. Military Engineer Services Recruitment 2015-16 has issued the recruitment notification of 762 Mate Tradesman post. Candidates can send the application form through offline mode on or before the last date 26-12-2015. 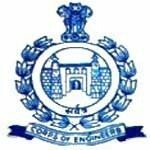 Military Engg Services (MES) Recruitment 2016 :- Military Engineer Services (MES) has recently published the notification recruitment for filing up 463 Civil Motor Driver, Meter Reader, and various other post. The eligible and interested candidates can apply the application form through offline mode on or before the last date 19.03.2016. Military Engineer Services India is inviting those candidates who are eligible and interested can apply the application form of 463 Civil Motor Driver, Meter Reader, and various other vacancies. For more detail information such as Selection process, Age Limit, Pay Scale, Education Qualification etc. is all given below. Total number of Post : 463 Post. 1. Civil Motor Driver (OG) 81 Post Rs. 5200/- to Rs. 20,200/- with GP Rs.1900/-. 4. Chowkidar 85 Post Rs. 5200/- to Rs. 20,200/- with GP Rs.1800/-. Education Qualification :- Candidates should have certificate of Matriculation (10th)/ Intermediate (10+2) or equivalent from any recognized board or institute. Age limit :- Candidates minimum age should be 18 year and maximum age should be 27 years old as on 19.04.2016. The age relaxation should be applicable as per Govt rules & regulations 05 years for SC/ ST/ PWD and 03 years for OBC category. Selection Process :- Candidates will be shortlisted on the basis of their best performance in Written Exam and personal interview. Eligible candidates should visit the official website www.mes.gov.in. Read all the given information which is important. Attach the recent passport size photo on it should be cleared. Candidates should keep one copy of application form for future use. Candidates should send the application form on the given proper address. NOTE : "Candidates should be advised to check all the post wise postal address which is mentioned on the site". Advt. No. : 20166/ LRS/ E1C(1). Last date for submit application form : 19.04.2016. 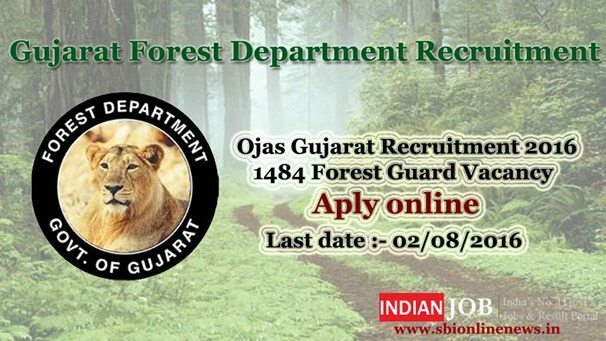 Click Here To Get Official Notification & Download Application form. Military Engineer Services Recruitment 2016 has issued the notification recruitment for filing up 463 Civil Motor Driver, Meter Reader, and various other vacancies. Last date for apply the application form through offline mode on off before 19.04.2016.
admit card k bare me apko kuch jankari mila kya ?? ?